To be a solid company with strong values and adequate profitability, that works to satisfy the needs of our customers, working efficiently and with quality in the production and commercializing of ingredients for the Food Industry, with an ample coverage of the national and presence in the international markets, looking for the well-being of the society and all of those who work with us. 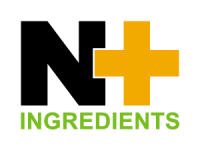 To become leaders in innovative ingredients for the food and feed industries, being strategic partners to our customers and suppliers. Nutryplus is committed to working with quality systems and food safety, respecting the environment, striving for continuous improvement, in order to comply with the demands of our customers, increasing our productivity, market share and profitability.